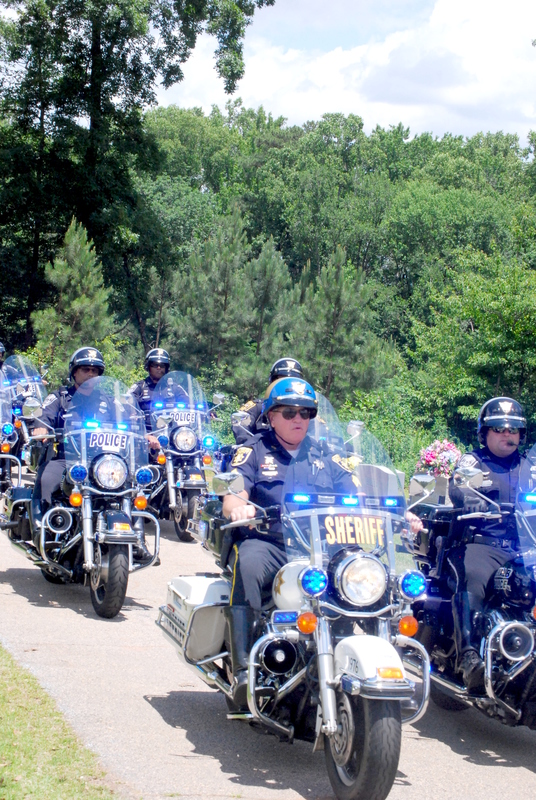 At former DeKalb County police chief Bobby Burgess’s funeral, he was awarded full honors. Retired DeKalb Police Chief Robert “Bobby” T. Burgess Sr, passed away June 6 of natural causes. He was 83. Burgess was a 45-year veteran of the DeKalb County Police Department, including a 22-year stint as chief of police until his retirement in 2001. The municipal building at 3630 Camp Circle, next to the jail, was renamed the Robert T. Burgess Building in his honor. Funeral services were held June 10 at Avondale First Baptist Church with the burial at Melwood Cemetery in Stone Mountain. The burial included bagpipe renditions of “Marine’s Hymn” and “Amazing Grace,” a bugle delivery of “Taps,” a 21-gun salute and a five-copter flyover. Burgess was preceded in death by his first wife, Betty B. Burgess; father, Theron S. Burgess; and mother,Doris C. Burgess. He is survived by his wife, Shirley; three sons, Robert Theron Jr. and Kathy Burgess of Dacula; Joel S. Burgess of Decatur; David B. and Kayren Burgess of Dacula; two stepdaughters, Sandy Pendley and Terry Pendley; a stepson, Robby Lanier; seven grandchildren and three great-grandchildren. A DeKalb native, he was “ultra conservative, loved America and never lived more than three miles from the DeKalb County Courthouse,” according to his online obituary. Comments on the website of A.S. Turner and Sons funeral home remembered a man committed to public service and as an “old school cop’s cop” who never forgot anyone with whom he served.